I am pleased to introduce a new product available from MTS. You can now purchase books which are based on our popular courses. They provide practical and current information on topics relating to pharmaceutical analysis. The aim of MTS books is to enable the reader to apply their learning in the laboratory straightaway and thus they act as ‘how to’ laboratory guidebooks. This makes them an ideal training solution for restricted budgets. Explanation of the common methods of calibration and quantification used for pharmaceutical analysis. This book provides information on how to validate an analytical method including interpretation of the available guidelines. In particular, the ICH guidelines Q2(R1) ‘Validation of Analytical Procedures: Text and Methodology’, from which sections have been reproduced with the kind permission of the ICH Secretariat. The validation process of planning a study, executing the study, and interpretation and reporting of the results is described fully, and the theory regarding the purpose of validation and the practical aspect of performing a study are combined in this book. The aim of this book is to provide a ‘how to’ for the beginner who is facing a HPLC method development challenge. It provides a step-by-step strategy which enables the reader to perform method development experiments in the laboratory. 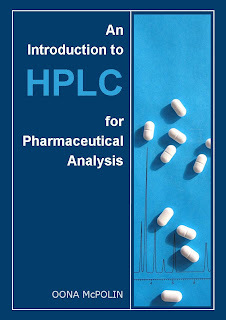 The major important concepts associated with HPLC are introduced progressively throughout the book so that the reader can develop their expertise and make appropriate decisions at the key stages in the development of their method.